Applications close Thursday 18th April 2019. Check out the fliers below for more information. 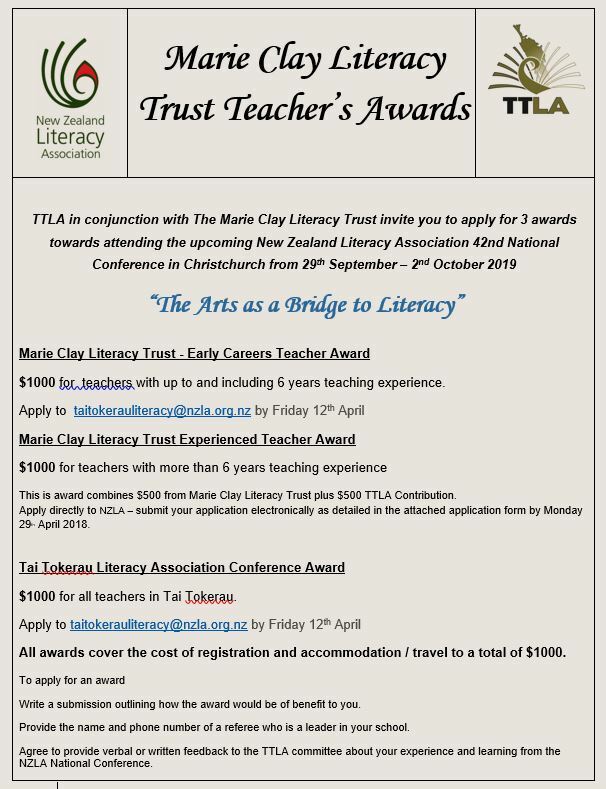 The Tai Tokerau Literacy Association is also offering a Conference Award. Applications close on the 12th April.